For most people, alcohol is a social lubricant that can relax communication at a dinner or bring on some extra laughter with friends. Sometimes it’s the only way to deal with a visit from Aunt Marge. Whether it’s craft beer, fancy wine, or a hard day’s whiskey, our culture loves its alcohol. But for some, a relationship with alcohol can become a serious dependency problem that adversely affects a person’s health, relationships, and wellbeing. The sauce is so ingrained in our culture that when it’s taken for granted and abused, requiring addiction recovery, alcohol can be a tough love to leave. Alcoholism has two distinct variations; Abuse and Addiction. Consumption that results in destructive behavior is always abuse. 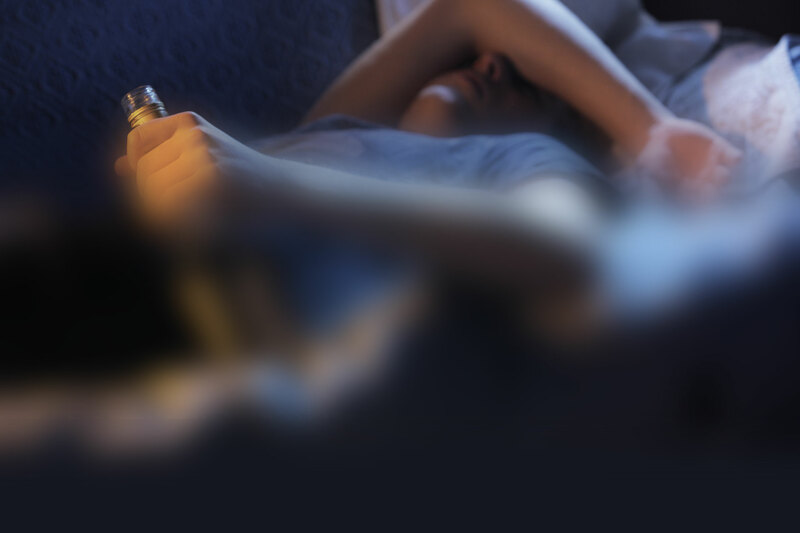 Alcohol addiction is the persistent, habitual consumption of large quantities of alcohol for the purpose of preventing withdrawal symptoms and to feel “normal.” With an alcohol addiction, the body can’t function normally without alcohol present in the blood stream. A true alcohol addict has to continually drink more alcohol to prevent or relieve symptoms like shakiness, irritability, anxiety, and sickness. Not all people who drink alcohol abuse it. Likewise, not all those who engage in some form of excessive consumption develop a physical or psychological addiction. But when you’re drunk more than sober and your friends are noticing, it’s probably time to take a step back. Recovery from a debilitating physical dependency like alcoholism can be a massive challenge and may seem hopeless at times, but it is possible to overcome an addiction with proper treatment and a firm commitment to sobriety. If someone you care about needs alcohol treatment, remember that you cannot force a person to stop drinking if they aren’t ready. The decision rests with them. You can, however, show your support and compassion for their struggle and offer guidance. Do your research and recognize the signs and symptoms that can signal a serious problem. If you’re struggling with an alcohol problem yourself, don’t hold back from the people in your life. The most important step in seeking recovery is to realize the need for treatment, which begins with admitting the problem. Denial is the primary obstacle that stands in the way of recovery. Lying or making excuses about habitual drinking is a red flag indicator of serious alcohol abuse or addiction. Be honest with yourself and seek out the kind of extended break from alcohol that a good rehabilitation program can facilitate. Denial is the primary obstacle that stands in the way of recovery. Excessive alcohol consumption is poisonous and damaging to the body and requires a period of sobriety so the blood can clean itself and the liver rebuild. Withdrawal from alcohol involves all the symptoms of a bad hangover and can be pretty serious depending on the levels of prior consumption. For long-term drinkers and serious addicts, medical assistance and supervision is often required to weather the detoxification process. Severe withdrawal symptoms can last days, even in professional care. Recovery is as much a training camp as it is a healing process. A person recovers physically from the debilitating effects of alcohol by purging out the foreign chemical completely and nursing the body back to health. However, the emotional and psychological aspects of addiction can take months or years of sobriety to overcome. True rehabilitation is a process that teaches you to abstain from alcohol long term by managing cravings and avoiding common triggers. This can sometimes mean it’s time to make some major life changes in order to accommodate a sober lifestyle. Purge the alcohol from your blood and nurse your body back to health. Maintain sobriety with a healthy, active lifestyle devoid of tempting triggers. Share your knowledge and experience with a whole community of allies. During the recovery process, it’s common to feel a sense of shame or humiliation, especially as you explain to people that you no longer drink. Just remember that tens of thousands of people have gone through addiction treatment and understand what you’re going through. Be proud of your sobriety, not handicapped by your past. If you or someone close to you has gone through a period of alcohol detox and sobriety treatment, congratulations are in order! It’s a difficult process and requires strength and commitment. Once you achieve sobriety for the first time, the journey really begins. Alcohol treatment doesn’t stop in the hospital or after the first week of abstinence, it’s a process that will require great psychological effort and focus to sustain. You’ll need a support system. Stay vigilant in the days and weeks following treatment; guard your sobriety well. The temptation will always be there, especially in a familiar lifestyle. The voice that reasons out good arguments for why it’s okay to have a drink this time will still chatter away in your head. Recovery is a training process for slowly eliminating old habits, building new ones, making different choices, and becoming a new, sturdier, wiser person. Healthy diet and exercise programs accelerate healing and recovery. Brain Cell production resumes in full only one week into sobriety. Successful sobriety often involves replacing alcohol with a healthier substitute. Structuring a sober lifestyle often means spending less time around those who drink. Never forget that you aren’t alone in this process. Thousands of people are going through alcohol recovery treatments all over the country. Support groups of like-minded people exist in every city and town. It’s vital that a recovering addict have a support system of friends and family who can ease the transition and ensure that old, destructive behaviors don’t return. Only by trusting the people and physicians around you can you make steady gains to a balanced and healthy life. Recovery is a group effort.